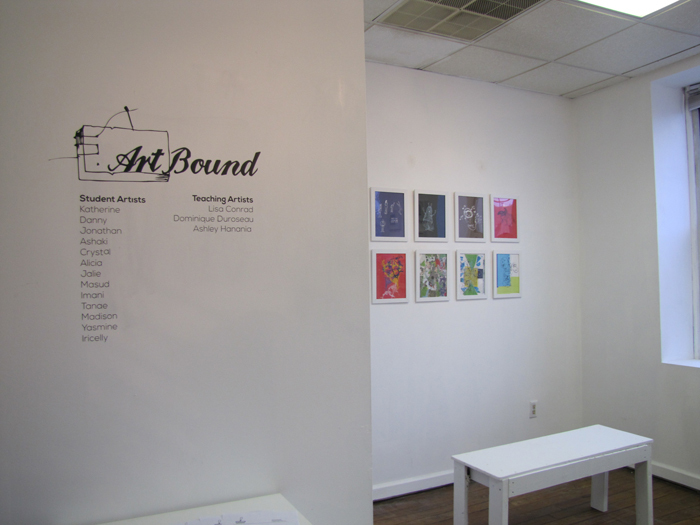 ABOUT THE PROGRAM: This exhibition showcases the work created in the ArtBound program, a series of free workshops in papermaking, printmaking, and bookbinding for Newark high school students. These weekly workshops were conducted at the Newark Print Shop, where students were given the opportunity to exchange ideas and create art in a working artist space. This program was offered in partnership with Index Art Center, and was made possible, in part, by ARTSTART project grant from the Newark Arts Council.